Care Institute of Medical Sciences (CIMS Hospital) is known for it's team of best cardiologists, cancer doctors, cardiac surgeons, and it's orthopedics! 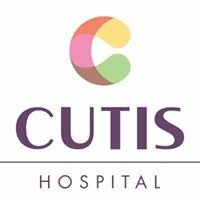 A 350-bedded, multi-super specialty,– CIMS Hospital is one of the best hospitals of Ahmedabad (Gujarat) providing a range of diagnostic and treatment services. Delivering the highest standards of global healthcare, CIMS Hospital is accredited by JCI – Joint Commission International (USA), NABH (National Accreditation Board for Hospitals & Healthcare Providers) and NABL (National Accreditation Board for Testing and Calibration Laboratories) for providing quality healthcare and patient safety across India. The Hospital has evolved a culture to deliver human and compassionate care to its patients. Our motto of ‘‘Patient First Always” is the backbone of firm commitment to deliver the best and safest care to our patients.